* Start with 7 chains (for a wider band, use 9 chains). These chains will serve as the foundation, in preparation to cast on the elastic band on the next row. * Inicie con 7 cadenas [9 para una cinta más ancha]. Estas cadenas sirven como base para la próxima hilera, cuando los puntos se montan sobre la banda elástica. 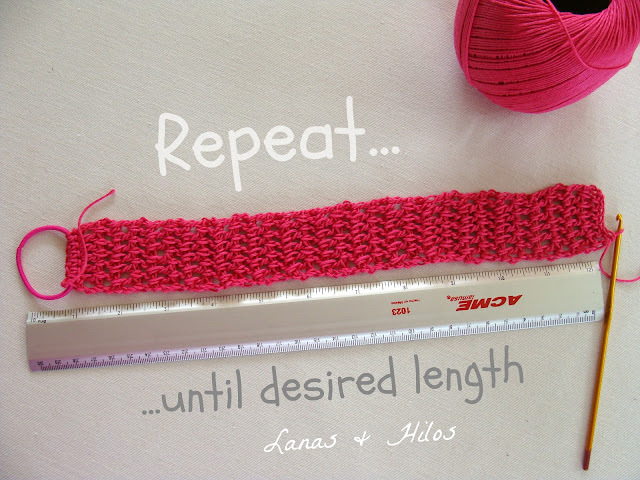 Row 4 and up> Repeat row 3 until you reach the desired length [Check the chart below for the approximate measures according to age]. Hilera 4> Repetir la Hilera 3 hasta alcanzar el tamaño deseado [Revisar el cuadro abajo para calcular el largo según la edad]. Last row> Finish with a row of sc’s, casting them on to the other side of the elastic band. Be careful not to twist. Última hilera> Termine con una hilera de puntos simples, montándolos sobre el otro extremo de la banda elástica. Finally, decorate with a crochet flower, and sew it on the band, close to the top. Finalmente, decore la cinta con una flor en ganchillo, y cosa en uno de los costados de la cinta. 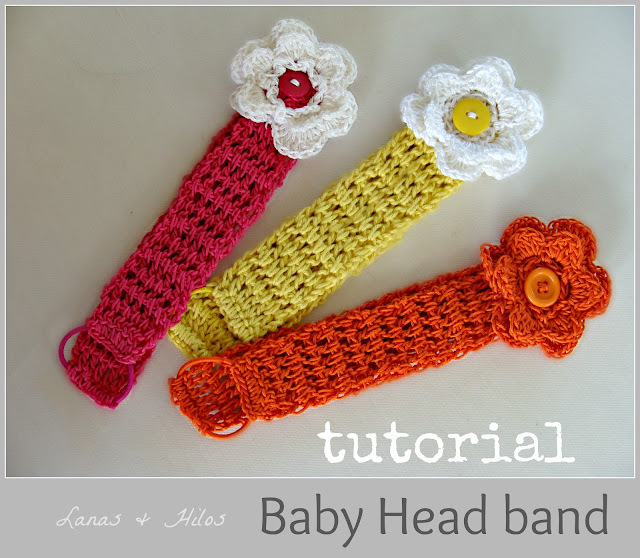 * YouTube: “How to Crochet a Flower Tutorial”. 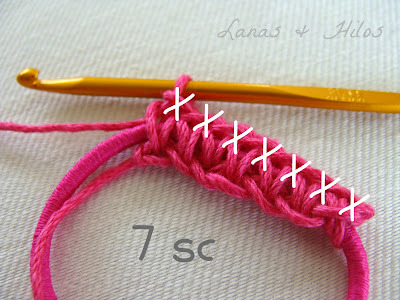 And check other versions in Ravelry! 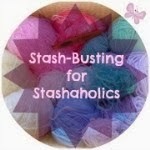 Y pueden ver otras versiones en Ravelry! Ahora... ¡manos a la obra, y a disfrutar! So sweet, I shall have to make one for my niece and maybe, if I can, one for my giant noggin too! great pattern! thanks for sharing. 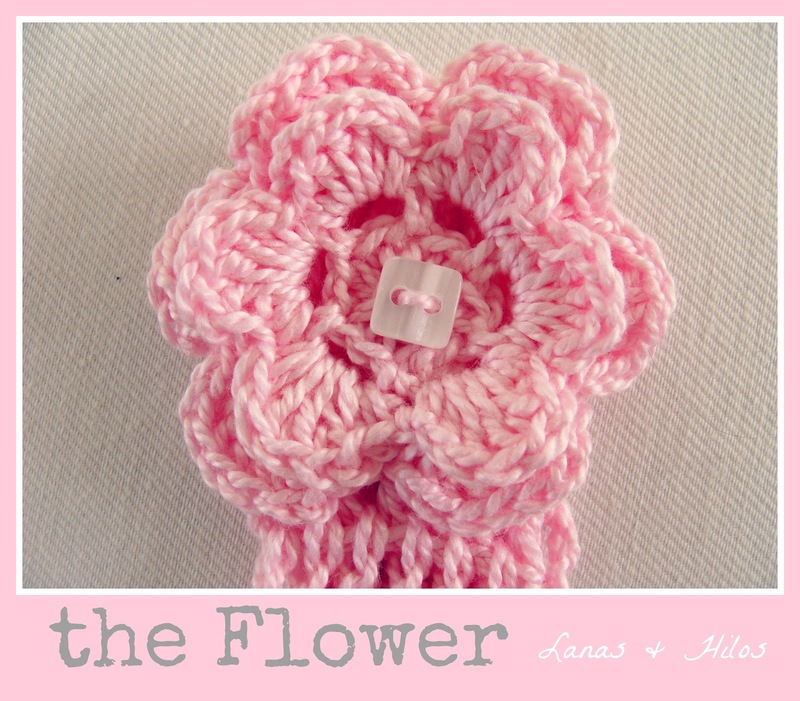 what is the flower pattern you used? I never thought of using pony tail holders for the stretchy part. Thanks for sharing!! So much better than ties!! Hair tie expander! Genius! Thank you so much! I love that you used the pony tail holder to be an expander! I just started making some crochet headbands and was feeling bummed that they weren't more elastic. Now I just need to go get some hair elastics in colors other than black... Thanks so much for the inspiration! Thank you for your wonderful pattern and pictures. 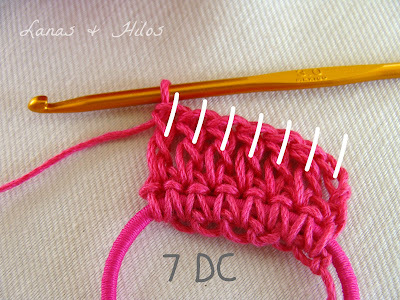 cute pattern and easy to understand! great work :) cant wait to work up a bunch of these for gifts! 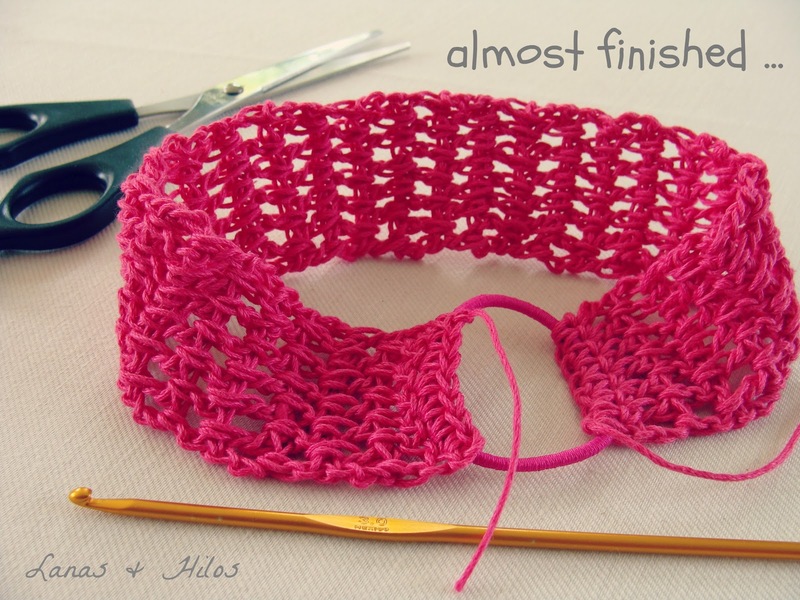 Gorgeous headband, so well explained and written, love the colours too BTW. muy bonitas, muy original utilizara la goma de esta forma. Yo suelo utilizar una goma mas gruesa, pero pienso que así es mas comodo para las niñas. Hi....thanks for the great pattern. I am going to try for sure. I notice in a picture of the purple headband the elastic looks doubled?? Do you double it up to make it smaller for the smaller size headbands? Preciosas!! Gracias por compartir. Cuando consiga un hueco me pongo a hacer unas. I want to commend you on your instructions and photos. Great for the crochet beginner. Thanks. I think I will crochet a heart for mine?? I'm unable to find the flower pattern, when you click on the link you mentioned that you used it's not available. Can you recommend another pattern or email me the directions? 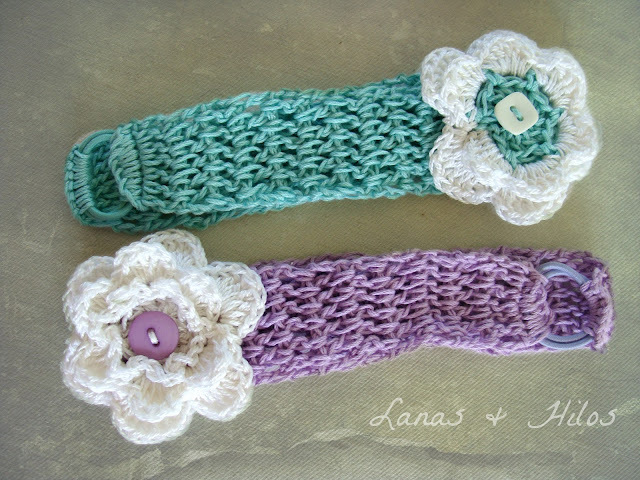 I would love to make headbands for my boss' new twin granddaughters :) Thank you for sharing the pattern! 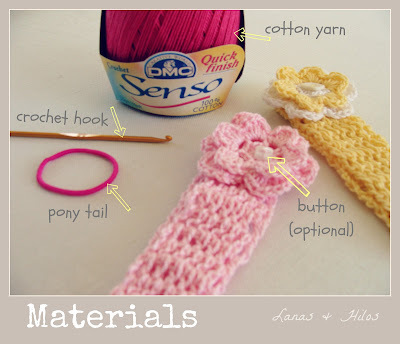 Could you sew the flower directly to the elastic band to hide it or would that not work if it gets stretched? So adorable, making these next. Merci pour ce tuto tres facile et ingénieux ! How can I make these a little wider for an older child? how about a printed pattern without ALL those photos, got any idea how much ink and paper you go through the way you have it posted?